Kurt Podeszwa is a camping professional, speaker and educator. He has a bachelor’s degree in Education and has spent much of his adult life working in outdoor and adventure education, with over 25 years of professional youth development and nonprofit management experience. Kurt is committed to safety, fun, and learning in the outdoor environment. As the Camp Director for Camp For All in Burton Texas, a camp for children and adults with special needs and challenging illnesses, Kurt has had the opportunity to work with a variety of special populations including; traumatic brain injury, spina bifida, down syndrome, muscular dystrophy, cancer, kidney disease, autism, cerebral palsy and more. Kurt is an accomplished presenter and author and the founder of Journey Consulting. He is a faculty member of Expert Online Training and has presented at national and regional conferences as well as for companies and schools on topics ranging from staff training and development to adaptive programming and processing. 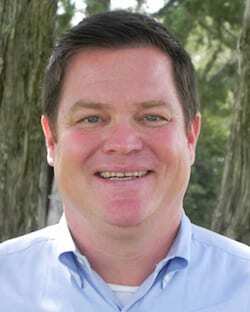 Kurt has held various positions within the American Camp Association, including the national board, and is currently on the National Standards Commission. Kurt has worked with companies such as Kraft, Motorola, Chrysler and more to help develop teamwork, enhance communication and build leaders in those companies. He has also worked with organizations to develop their mission, vision and values statements and create strategic plans to help live those statements.